A Vian teen that disappeared from her grandmother's home on the morning of July 29 has been located and is safe and unharmed according to Sequoyah County Sheriff Larry Lane. Lindsay Jones aka Lindsay Lasiter is now known to have ran away from her grandmother's Vian home. No foul play was involved. 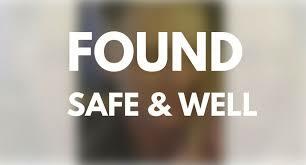 She was located by Investigators Goode and Rutherford at a residence south of Muldrow just moments ago. Cowboys and cowgirls from all around know that each year the Sallisaw Lions Club Rodeo will be a great one and this year it will be even more special. Celebrating 75 years of entertaining rodeo fans the Lions Club has great plans for their Diamond anniversary. "We're looking forward to another great year," said Sallisaw Lions Club president and rodeo chairman Marley Abell. "The Sequoyah County Roundup Club started the rodeo in 1941 but we missed a couple of years because of war time." The rodeo is sanctioned by the International Professional Rodeo Association (IPRA) and the American Cowboys Rodeo Association (ACRA) and is also part of the Ram Rodeo Series. The Hampton Rodeo Company of Springdale, Arkansas will provide stock for the rodeo. The Sallisaw Rodeo draws over 5,000 people a year, and showcases the elite athletes in rodeo competition. Talented cowboys and cowgirls from throughout the country and from the local area will compete for thousands of dollars in prize money in several different events. Abell said that this year contestants will be competing for $11,000 in added money. The rodeo kicks off at 5:30 p.m. Thursday with a parade through downtown Sallisaw. Fan favorite mutton bustin' will be held each night at 6:30 p.m. with sign ups at 5:30 p.m. Nightly rodeo performances will kick off with the Grand Entry at 8 p.m.
Matt McGee will be returning as the announcer for the rodeo. McGee is a five-time IPRA Announcer of the Year. The Rodeo of the Ozarks Rounders drill team will also be performing nightly. Miss Rodeo USA Summer Weldon will also be on hand. New to perform at the Sallisaw Rodeo is rodeo clown and specialty act Austin Stewart who has appeared on America's Got Talent. Myles Essick will be doing this year's bullfighting. Cost for admission is $8 per adult and $5 for children 6-10 years of age. Children 5-and-under are free. "We like to keep the entry affordable so that people can come and bring their family. They don't even have to pay extra for the music entertainment," added Abell. And this year's entertainment is worthy of a 75th anniversary. The Lions Club has great entertainment scheduled to perform on Friday and Saturday night at the after-rodeo dances. Returning to perform on Friday night is local favorite, Crossroads. Made up of local musicians Crossroads has a loyal following and always draws a crowd. On Saturday night Jason Boland and the Stragglers will take the stage. One of the most successful Red Dirt Bands they got their start in Stillwater and also have local ties. "We had Jason Boland and the Stragglers here in 2000 but that was before they were really known outside of our area," said Abell. "We're having to get a bigger stage and lighting. We think it will be big." Some other fun events you won't want to miss include the calf scramble, pony rides and always exciting wild-horse races. The Oklahoma Department of Public Safety announced that Sallisaw resident Derek Griffey has been promoted to Oklahoma Highway Patrol Lieutenant. Griffey is a graduate of the 57th OHP Academy in 2007. 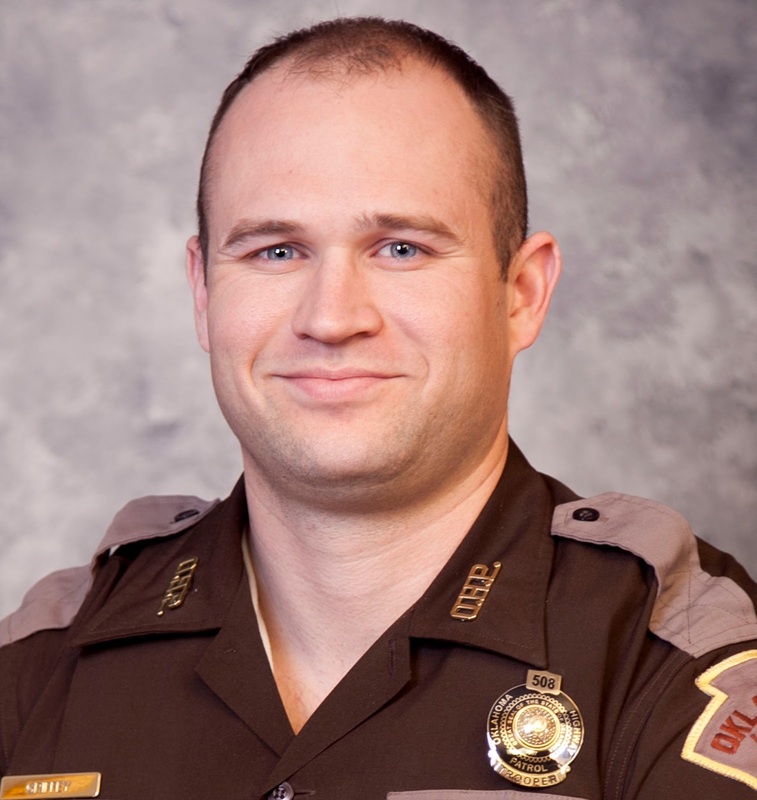 He will be assigned to Troop D, headquartered in McAlester. Previous assignments have included Troop H (Washita County), Troop C (Sequoyah County), and the Oklahoma Highway Safety Office in Oklahoma City. Griffey and his wife Jennifer have two sons, Grayson and Gunner. A concerned grandmother is asking for help locating her missing 14-year-old granddaughter. 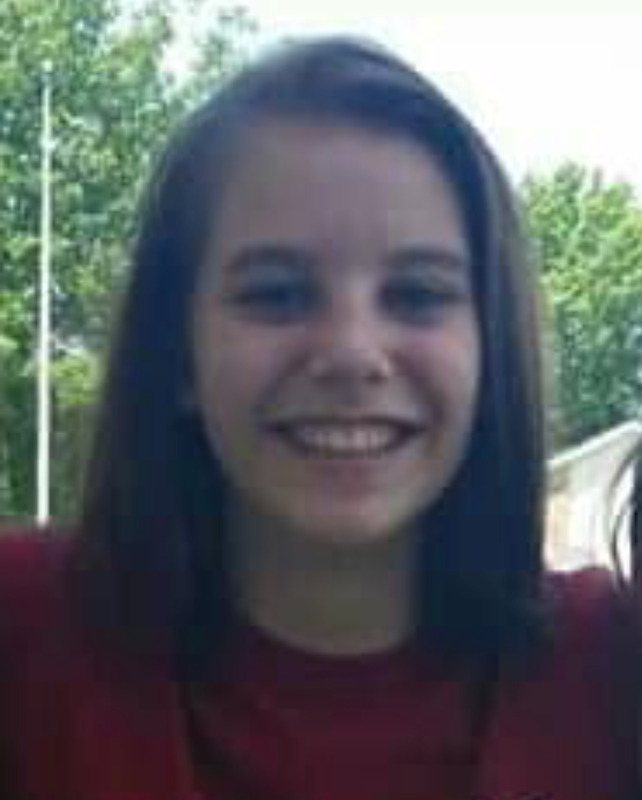 Lindsay Jones aka Lindsay Lasiter was reported missing by her grandmother Melinda Jones of Vian. According to Jones, Lindsay was discovered to be missing from her grandmother's Vian home on the morning of July 29th. "She was just gone from her second floor bedroom,"said Jones. "The window was open." Although the 14-year-old is currently being considered a runaway her grandmother and others are very concerned for her safety. The Sequoyah County Sheriff's Department is actively investigating and searching for Lindsay. "We have deputies out looking for her right now," stated Sequoyah County Sheriff Larry Lane. Anyone with information regarding Lindsay's whereabouts is asked to call the sheriff's department at 918-775-9155. Please share this post and help spread the word to bring Lindsay home safely. 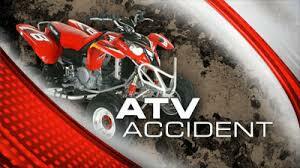 An ATV accident that occurred Friday north of Vian left one man in a Tulsa hospital in critical condition. Martin Stewart, 52, of Broken Arrow, was driving his 2012 Polaris Ranger southbound on County Road 4514 approximately 10 miles north of Vian when he departed the road to the right, overturning one-quarter time onto the driver side and coming to rest on the southbound lane. Stewart was pinned under the ATV for an unknown amount of time according the Oklahoma Highway Patrol (OHP) report. Stewart was transported by the OHP to Northeastern Health Systems where he was admitted in critical condition with head, arm, foot and trunk internal injuries. He was later transported to Tulsa St. Francis. The OHP reported that Stewart was driving while impaired and noted the odor of alcoholic beverage. 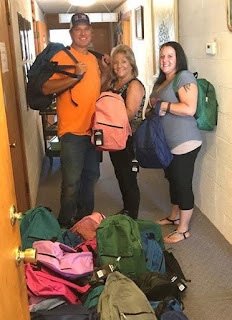 Jeremy Clark, left, and Chasity Patton, right, donated 45 backpacks filled with school supplies on Wednesday to the Catholic Charities Helping Center in Sallisaw. Helping Center Director Becky Ritchie, center, accepts the donation. A couple enrolled in the Sequoyah County Drug Program are bettering their lives by helping others. Jeremy Clark and Chasity Patton recently raised the funds with the help of their church - the First Assembly of God in Muldrow - to donate 45 back packs filled with school supplies to the Catholic Charities Helping Center in Sallisaw. The back packs will be given to children who need a little help preparing for school. Clark was honest about his and Patton’s efforts for The Helping Center. The children range in age from pre-kindergarten to the 10th grade, and were able to benefit from the Back-to-School Program last year. Backpacks are not the only community project Clark and Patton have taken on. He said they also cooked out for the Special Victims Unit recently, and they help provide KATS bus tickets for those in need. Both are also sponsors for the drug program, helping others turn their lives around. Clark said he was arrested for drugs in February 2017, and because he and Patton were non-violent offenders, they were enrolled in the drug program. Sequoyah County Drug Court is a special court given the responsibility to handle cases involving less serious drug-using offenders through a supervision and treatment program. The program includes frequent drug testing, judicial and probation supervision, drug treatment counseling, educational opportunities and the use of sanctions and incentives. The Catholic Charities Helping Center partners with the drug court and individuals in the food pantry, outside building and clothing room. Clark and Patton are on schedule to graduate from drug court in October, and both are now gainfully employed. Clark said they plan to stay involved in drug court. The Helping Center stands as a witness to those words, and Becky Ritchie, Helping Center administrator, added her thanks. “Thank you Chasity and Jeremy for all of your hard work!” said Ritchie. Police continue to search in the Spiro area for the second suspect in what authorities are calling a "felony theft" that occurred at the Bank of the Ozarks on Rogers Avenue in Fort Smith on Thursday morning. Around 11:30 a.m. two bank employees were approached by a black male while they were servicing an ATM machine. The male suspect stole two metal cash canisters that reportedly contained approximately $20,000. 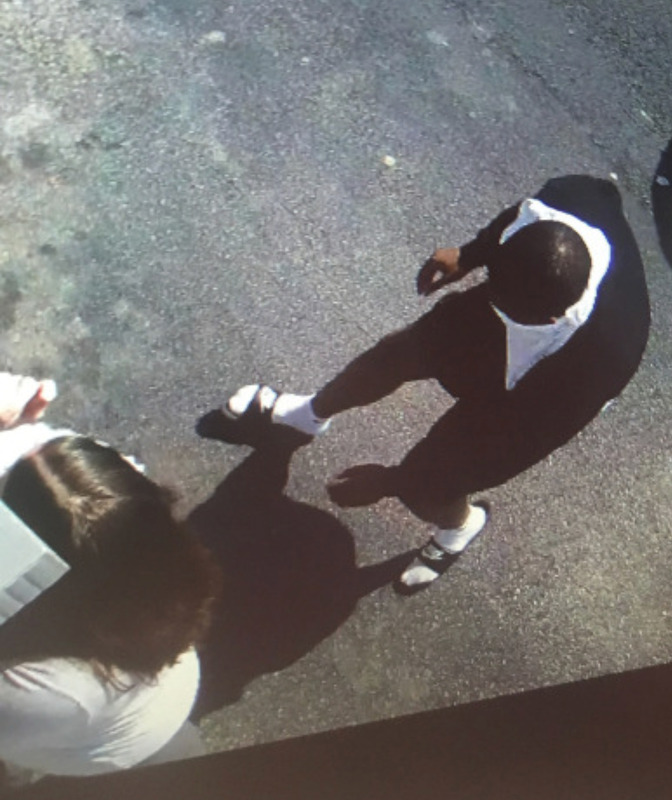 The subject, who was later identified as Daniel Giles, ran to a waiting white Dodge Durango and fled the scene with another black male. A search command center has been set up at the Spiro High School gymnasium. The two damaged and empty canisters were later located in a drainage underpass near Jennylind and Harvard in Fort Smith. $10,000 in cash has been recovered according to authorities. Anyone with information on the identity or whereabouts of the missing suspect should contact the Fort Smith Police Department at 479-709-5100. 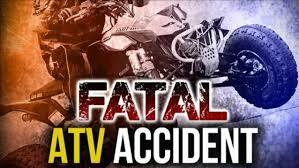 A Tahlequah man died Wednesday, July 25 after losing control of his all terrain-vehicle. Roy Lowery, 54, was driving a 2000 Polaris 500 ATV eastbound on 811 Road when he failed to turn at the intersection of 490, left the roadway, and rolled an unknown number of times. Lowery was transported by First Flight to St John's hospital in Tulsa and was pronounced deceased by emergency room personnel at 11:52 p.m. The cause of the accident was unsafe speed according to the OHP report. Lowery was not wearing a helmet at the time of the accident. Friday, August 3, is the last day to apply for voter registration in order to be eligible to vote in the August 28 Runoff Primary Election, Sequoyah County Election Board Secretary Cindy Osburn said today. 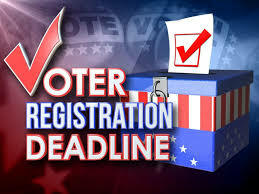 Those who aren't registered or need to change their registration may apply by filling out and mailing an Oklahoma Voter Registration Application form in time for it to be postmarked no later than midnight Friday, August 3. Osborn said applications postmarked after that time will be accepted and processed, but not until after the Election on August 28. Oklahoma Voter Registration Application forms are available at the County Election Board office located at 110 E Creek St. Sallisaw, OK 74955, and at most post offices, tag agencies and public libraries in the county. Applications also are available at www.elections.ok.gov. Cherokee Nation Foundation (CNF) recently hosted 35 high school juniors and seniors, including six from Sequoyah County, at its annual Cherokee College Prep Institute last week. County Students attending were Haley Flute, Muldrow High School; William Greer, Roland High School; Alyssa Jones, Muldrow High School; Melanie McHenry, Sallisaw High School; Taite Stites, Sallisaw High School; and Cash Wright, Vian High School. Students worked closely with 14 university reps from across the nation to explore schools of interest, research scholarship opportunities and navigate the application process. The weeklong camp features classroom curriculum developed in cooperation with College Horizons, the U.S. Department of Education and the Princeton Review. Lessons include ACT strategies, essay writing, interview skills and time management. Outside of the classroom, students worked in small groups and benefited from one-on-one sessions with university recruiters to help them stand out among their peers in the application process. Students stay in traditional dorms throughout the week and have opportunities to explore the campus to gain a better understanding of what college life is really like. Additional activities include learning to play stickball, movie night, laser tag, a closing reception and a dance. Participating universities included University of California-Los Angeles, University of Central Oklahoma, Duke University, KY-WV-LSAMPS/STEM, Northeastern State University, University of Notre Dame, Oklahoma State University, University of Oklahoma, University of Pennsylvania, Pomona College, Rogers State University, Stanford University, Swarthmore College and Yale University. For more information, contact the Cherokee Nation Foundation at (918) 207-0950 or Janice Randall at jr@cherokeenationfoundation.org. A 45-year-old Van Buren man is facing two burglary charges in Sequoyah County District Court, Sallisaw. 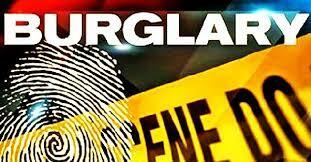 Teddy Lynn Wilson was charged July 16 with two counts of second degree burglary. He is accused of stealing items from two shop buildings in Muldrow. Muldrow Police Chief George Lawson reported he was informed of the burglaries on July 5 and 11, and his investigation revealed the burglaries occurred between April 1 and July 11. Lawson reported he found several of the missing items were pawned at a Fort Smith pawn shop by Wilson. Lawson reported the loss in one case was $1,105, and the loss in the second case was not available as the victim was still listing missing items. A bench warrant for Wilson’s arrest was issued Monday. Aviagen and the Sallisaw Improvement Corporation (SIC) held a groundbreaking ceremony in Sallisaw Wednesday to celebrate the beginning of construction of Aviagen's latest expansion and new facility. The new 10,000 square-foot facility is expected to be completed and operating by Dec. 31, 2019 at a cost of $1.9 million. It is expected to initially bring 45 new jobs to the area. After the groundbreaking a luncheon was held at the Stites Room at Carl Albert State College where Sallisaw Mayor Ernie Martens stated that the construction project was a cooperative effort between Aviagen, the Cherokee Nation, the City of Sallisaw and SIC. "I appreciate what it will add to the community," stated Martens. Martens also praised Buddy Spencer, SIC President, and his tireless efforts to bring the expansion and resulting 45 jobs to Sallisaw. Spencer noted that Aviagen was initially considering building the new facility in Muskogee. "We started this process and negotiations 16 months ago. They needed around 10 acres to build. They had one and we had nine," stated Spencer. SIC agreed to give Aviagen nine acres in return for a commitment from Aviagen for 45 quality jobs with quality benefits. "We didn't give land away. We traded it for quality jobs," emphasized Spencer. "We've got a quality company and we don't need to let them get out of town." Bill John Baker, Principal Chief of the Cherokee Nation, greeted Aviagen's Jason Mack, VP of Aviagen Operation, along with Corry Shadden, Aviagen Production Manager, by welcoming them to the Cherokee Nation. "Economic development is not easy. It takes a lot of work. It takes a lot less work if we can bring all of the partners to the table," Baker said. "Anytime we can create jobs it's a home run for everyone." "Sallisaw has been good to us," said Mack. "We would like to thank everyone involved in making this happen, especially Mr. Spencer. 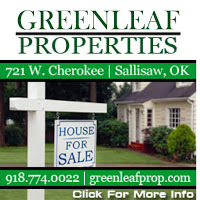 He really wants to see Sallisaw grow." Aviagen's primary complex is located in Alabama. 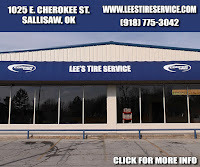 They started their Sallisaw operations in the early 1990's. They are a poultry breeding company that supplies breeding stock to integrated poultry companies such Tyson and OK Foods. They do not produce meat stock. Chicks from Sallisaw are delivered throughout the U.S. and Canada and flown internationally from the Houston airport. 15,000,000 chicks per year are shipped from the Sallisaw hatchery. 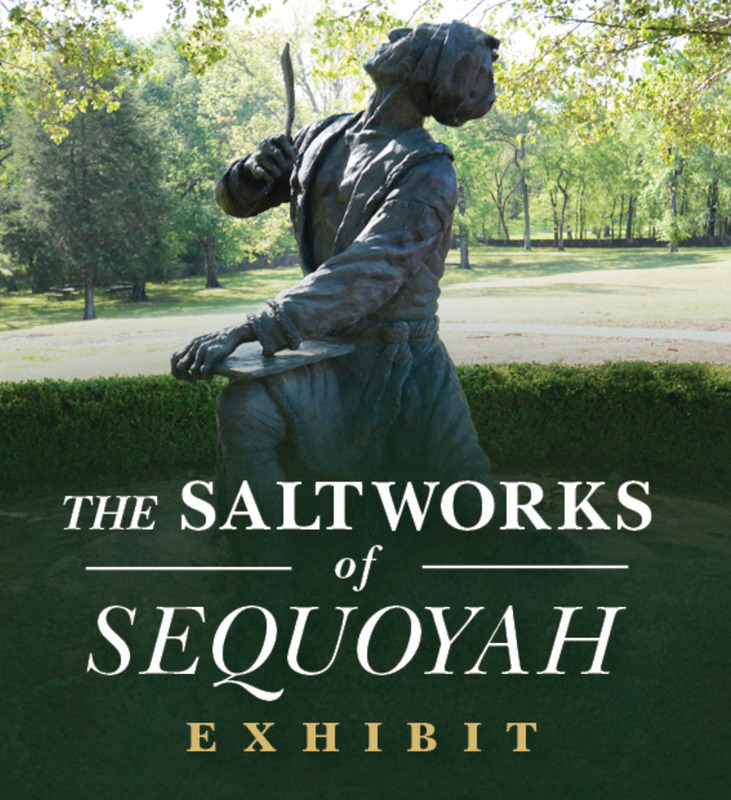 Learn about the history of saltworks operations and their impact throughout time at a new exhibit at Sequoyah’s Cabin Museum in Sallisaw. While Sequoyah is known and honored for being a legendary statesman and for his work creating the Cherokee syllabary, he also ran a saltworks operation on Lee’s Creek near present day Sallisaw. 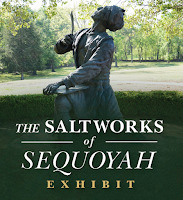 “The Saltworks of Sequoyah” provides details about Sequoyah’s operation including how salt in the 1830s was manufactured and the events that led to Sequoyah running his own operation. The exhibit opens Aug. 3 and runs through Jan. 31. 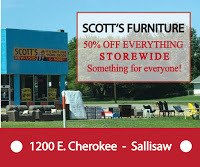 Sequoyah’s Cabin Museum is located at Highway 101, seven miles east of U.S. Highway 59 north of Sallisaw. It is open Tuesday – Saturday from 10 a.m. to 4 p.m. The museum features the original log cabin constructed by Sequoyah in 1829 and welcomes more than 12,000 visitors each year. It was designated as a National Historic Landmark in 1966 and a National Literary Landmark in 2006. The homestead includes a one-room cabin and nearly 200 acres. The museum also features large displays that share the story of Sequoyah, his development of the Cherokee syllabary and the Cherokee language today. Additional displays showcase the history of the Cherokee Old Settlers, Cherokee Nation post-removal and the Cherokee Nation today. 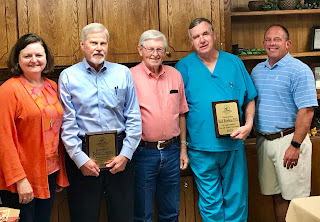 At the July 17th Board Meeting Northeastern Health System (NHS) Sequoyah congratulated both John Cripps and Dr. Rick Robbins for over 40 years of service to the hospital. For the last 40 years, Cripps has served as the Board Chairman and Dr. Robbins has served as a practitioner for the hospital patients. Both were presented with a plaque as a small token of appreciation for everything they have done for the facility. Cripps is known for empowering the local hospital staff to establish best practices and subject matter expertise in patient services. Cripps has experienced the growth of the hospital from watching the hospital be transformed from a high school gym, to financial ups and downs and multiple leadership changes. His legacy will continue on the board through the wisdom he has instilled in current board member. Dr. Robbins has been a local healthcare icon. From delivering hundreds of babies to performing countless athletic physicals to attending many funerals while comforting the family members of his patients that had gone on. 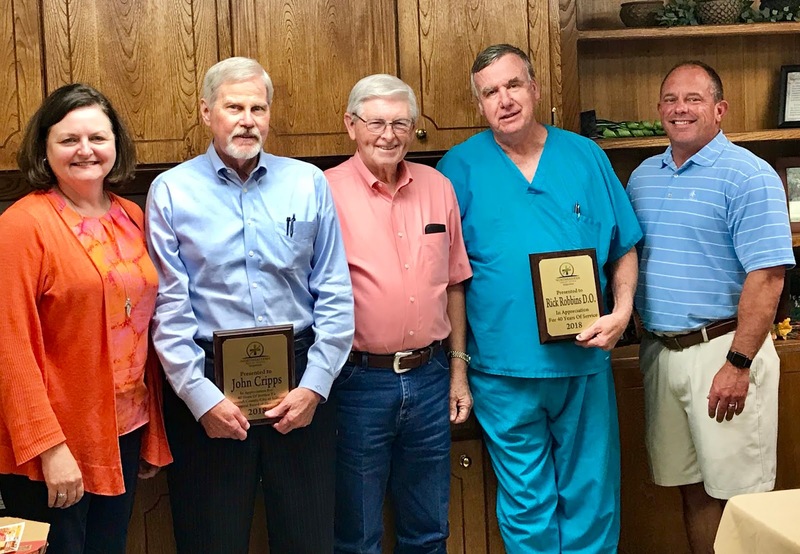 Because of his impact in healthcare and the community, Dr. Rick Robbins Day will be celebrated every July 9th in Sallisaw, Oklahoma. Northeastern Health System Sequoyah named Stephanie Six as the new Hospital Administrator in Sallisaw effective July 9, 2018. 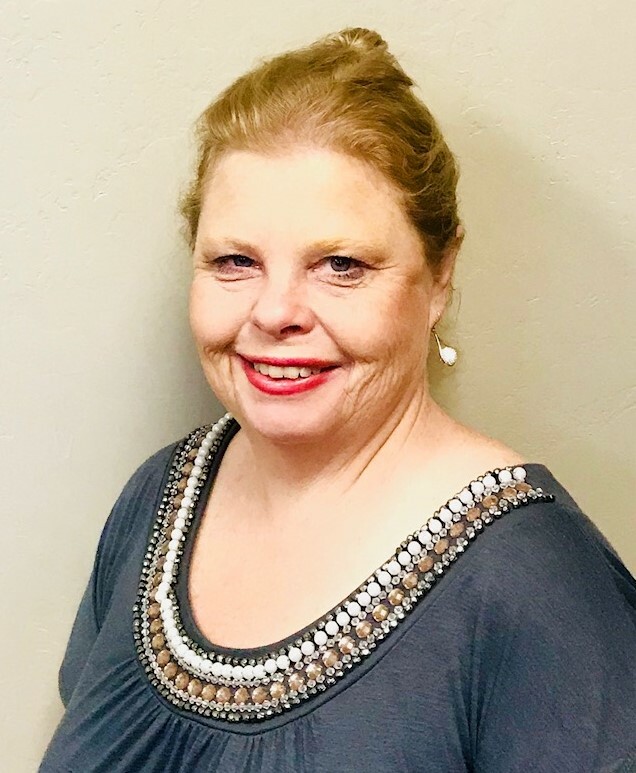 Six, a native to Sallisaw, earned her high school education from Sallisaw High School, LPN licensure from Indian Capital Vo-Tech in 1991 and her RN licensure from Carl Albert State in 1997. Six has more than 27 years of healthcare experience, with the last seven as Group Facility Administrator at DaVita Dialysis in Sallisaw where she managed day to day operations of four clinics with over 100 plus indirect reports. She also helped with the startup and growth of the Sallisaw branch. Six is also a former Area VP of Operations for Amedisys Home Health Care where she managed day-to-day operations of approximately 15 agencies over 3 states, including 5 start-up agencies and 3 acquisitions, and supervised a staff of over 300. Six has developed many relationships in her experience and hopes to build off those relationships with other administrators, patients and physicians to help grow NHS Sequoyah. "As a resident of Sequoyah County I am honored to be given the opportunity to serve in a leadership role with the hospital. My nursing background has provided me with the necessary skills to lead and serve our community in this role," stated Six. Six enjoys serving her community. She is an active member and Vice Chair of the Marble City Volunteer Fire Department, as well as an active member and Vice Chair of the Marble City Festival Committee. Stephanie is married to Eardie, the Fire Chief of Marble City Volunteer Fire Department. She has two children and 3 grandchildren that she loves to spend time with. Dry conditions contributed to the spread of a fire Monday afternoon that burned a large area on the side of the Lake Tenkiller Dam Monday afternoon. Area fire departments including West Tenkiller and Blackgum responded to extinguish the blaze. On Monday oficials with Oklahoma Forestry Services released a statement asking citizens to use caution as record high temperatures and lack of rain are creating the potential for increased wildfire danger across the state. While the entire state is drying out, southern Oklahoma is already seeing increased fire activity. The public can have a huge impact on preventing wildfires by delaying any burning until conditions improve, avoid dragging chains on vehicles, making sure that campfires are completely out, using extra care when grill outdoors and using caution with anything that can cause fire. Additionally, citizens are asked to report any new fires or suspicious smoke to the closest fire department. 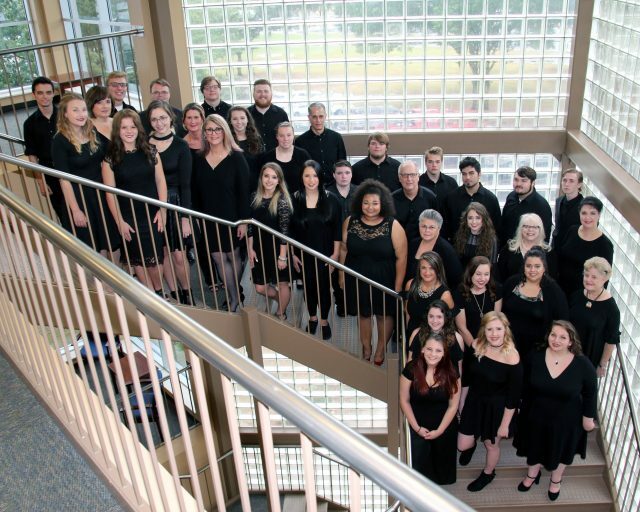 The class is open to community members wanting to join the concert choir, and to CASC students wanting to take the choir class in addition to other course work. Limited scholarships are available for students, faculty and staff, and community members. For more information about the concert choir and scholarship opportunities, contact Bill King at wmking@carlalbert.edu. To enroll for the concert choir class, contact enrollment at 918-647-1248.